Many of you have already received your envelope for the Metro Vancouver Transportation and Transit Plebiscite. Some of you may have already voted and many of you may still be on the fence. Should you vote YES or should you vote No? 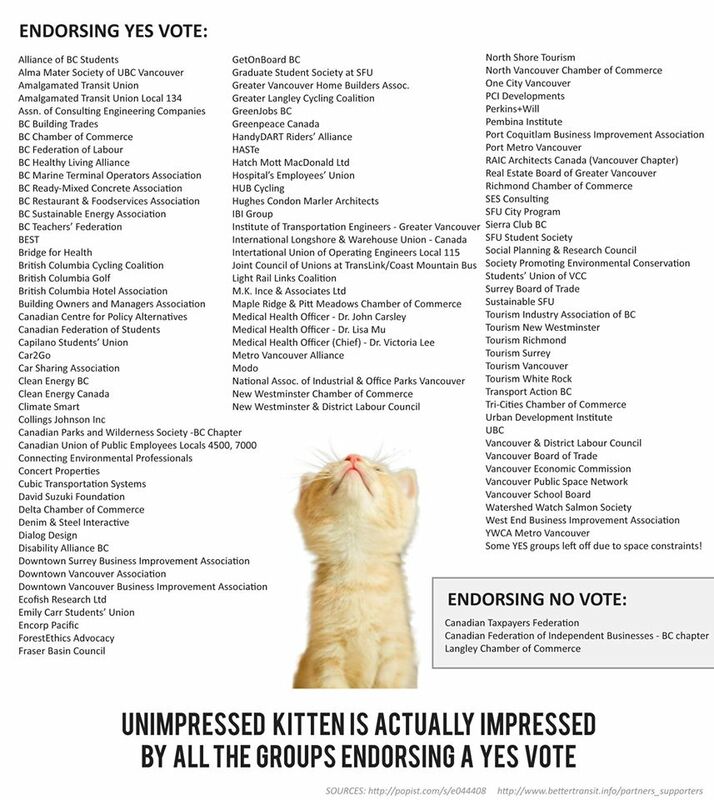 Perhaps this list, a list impressive enough to impress the unimpressed kitten, may make you think twice before you place your ballot. The above list was tweeted by @Beach650 on twitter and showcases the rather huge group endorsing a YES vote in comparison the the group endorsing the No vote.